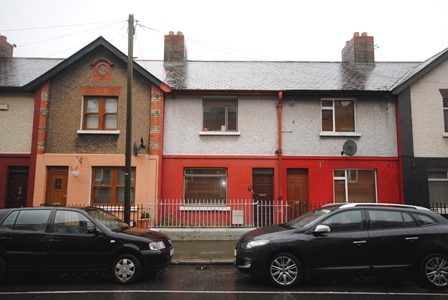 Location Location…Property Options is delighted to present 7 Spitalfields to the market, located off Francis Street in one of Dublin’s most historic neighbourhoods in the hearth of the Liberties, where space and comfort set the tone for this charming 2 bedroomed terraced home. Extending to c. 715 sq. ft. the accommodation comprises of large open plan living room , spacious and bright kitchen / breakfast room (modern fitted shaker style kitchen), good sized rear yard. There is also a good sized bathroom. 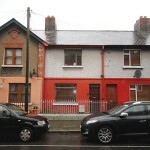 On the 1st floor there are two well apportioned double bedrooms. This is a fantastic neighbourhood of opportunities and innovation, where the heritage of an historic city quarter sits side by side with dynamic media and tech hubs and highly respected medical and education centres. The Liberties has a vibrant nightlife, and hosts regular performances in theatres, bars, and music venues. The Liberties is the home of the iconic Guinness brewery. The storehouse, Ireland’s main visitor attraction, Teelings Whiskey have opened their new distillery and visitor centre in Newmarket, boasting the first new Irish whiskey distillery to develop in Dublin since the 19th century. Travelling down Francis Street, Francis Street church is on the left….turn right and Spittalfields is at the end of the road.